Today we have another quick and easy recipe Seviyaan upma or Vermicelli upma. It's not only delicious but also healthy and can be prepared in no time. 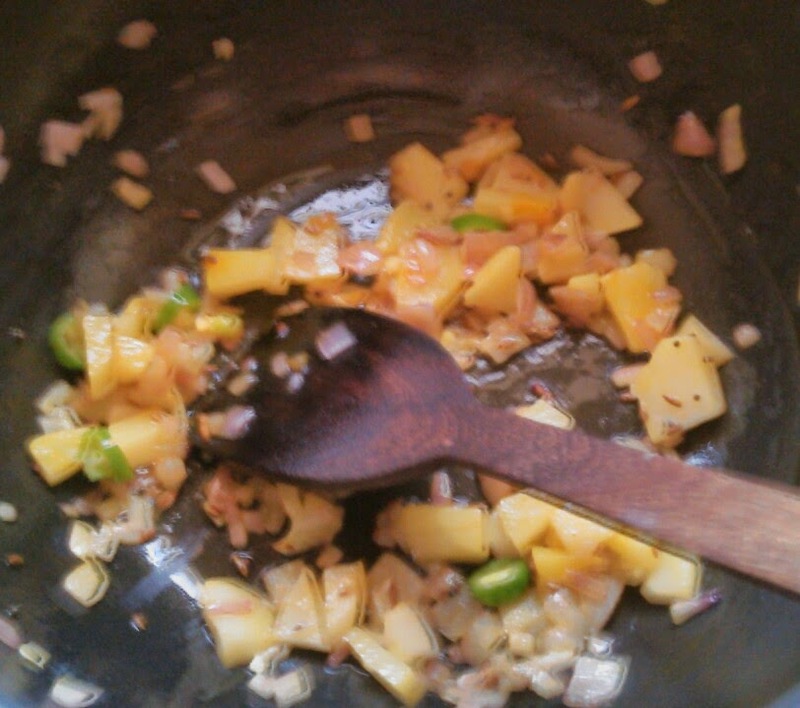 1) Chop the onion, potato and green chilli and keep aside. 2) If you have non roasted Vermicelli, roast it a little till it turn brown. 3) Heat a little oil in a frying pan and add the mustard seeds. When the mustard seeds start crackling add the cumin seeds, chopped onion, potato and green chilli. 4) If you want to add peas or corn or chopped carrot you can add that too. Stir fry till all the veggies are tender. 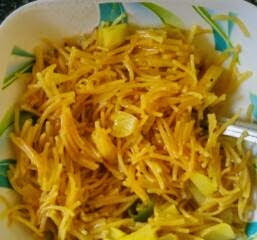 5) Now add the Vermicelli alongwith turmeric and mix all the ingredients well. Add salt according to the taste. 6) Now add water and let it cook on a low flame till all the water evaporates and Vermicelli is cooked. 7) Check if the Vermicelli is cooked or not. If not add a little water maybe 1/4 cup and let it cook again on low flame. 8) Serve hot and garnish with coriander and lemon juice. NB - More water will be needed if you add more veggies. This recipe is medium spicy, but chillies can be added according to the taste and spiciness of the chillies.